Ever wondered how a spreader beam or lifting beam works, or what forces it sees? Ever been confused by the difference between a spreader beam or lifting beam? This is the first in a series of technical posts I will be writing – at least one a month, which will be shared through the Britlift LinkedIn page. I recently saw a post on LinkedIn from a UK based lifting equipment inspector who was unsure of the difference between a lifting beam and a spreader beam. A few of the responses he received were correct, some were wrong, but most of them were just unhelpful. Seeing that inspired me to write this post explaining the difference between the two. Previous explanations I have seen on this topic tend to fall into two categories. A simple one or two line answer that gives a definition but doesn’t explain how or why, or a more complex explanation that can be difficult to understand if you don’t have an in-depth engineering knowledge. This article aims to bridge the gap and give a detailed explanation, that is accessible to all. Terminology is the number one cause of confusion in regards to the differences between these beams. Depending upon what country you are in, or what sector of the industry you are in, what you call a specific type of beam may change. The LEEA definition is that the term ‘Lifting Beam’ normally refers to a beam which is suspended by a single central point and supports a load via two or more connection points – the beam is loaded in bending. The term ‘Spreader Beam’ refers to a beam used to spread apart two slings and loaded in compression. LEEA also state that “many designs are a hybrid of the two” and that often this equipment as a whole, including spreaders and the hybrids, are collectively referred to as lifting beams. Easy to see how the confusion starts isn’t it? Let’s make a clear definition for this article then. Any beam where the load being lifted mainly puts a bending stress in the beam will be referred to as a lifting beam. Any beam where the load being lifted mainly puts a compressive stress in the beam will be referred to as a spreader beam. The next question is how can we tell which beam is which in figures 1 and 2. The answer lies in following the path that the force takes as it travels up through the beam and into the crane hook. Let’s look at figure 1: The force travels up the bottom slings (shown as 4 downwards arrows) and into the beam at 4 locations, this force must then travel along the beam before it finds the vertical path upwards and into the crane hook via the top sling (shown as the upwards arrow in the centre). The fact that the force has to travel along the beam before it can continue upwards to the crane hook is what results in a bending stress. Now figure 2: The force travels up the bottom slings (shown as 2 downwards arrows) and into the beam at each end. This time there is an immediate path for the force to travel upwards via the top slings (dashed lines). The force travels up these slings and on towards the crane hook (shown as the upwards blue arrow). This time the force didn’t have to travel along the beam at all and that is the reason why no bending stress is applied to beam by the load. But if that is the case, what force is the spreader beam dealing with and why is it there? In figure 3, diagram 1 shows a child on a swing, the orange arrow shows the weight of the child pulling downwards and the green arrow shows the direction that we know the child will travel. The child cannot move in any direction without a force, so we know there is a force that makes the child move in the direction of the arrow. In the figure 3, diagram 2, another child is positioned the opposite side of the swing, as we know this child will swing in the opposite direction to the first child. Unless something is done the children will swing together and collide. In figure 3 diagram 3 the children are now holding a broom. The broom will keep them apart and provided that they both weigh the same (and have a very strong broom! ), they will stay where they are. The broom here is in compression – a crushing force. In this example, the reason the children will swing towards the middle is because the rope connecting them to the swing frame is at an angle. As a result of gravity, the rope wants to hang straight, this is why the child swings inwards. The heavier the child the more force is trying to pull the rope straight resulting in the need for a stronger (larger) broom. As some of you may have guessed, in this example the broom is the spreader beam. The forces acting on the children and the swing in this example are very similar to what occurs in a spreader. In summary, whenever the force must travel along the beam bending stress occurs, and that is what we would call a lifting beam. When the beam is only loaded at either end, and the top connection points are directly above the bottom ones, we have a spreader beam. The reason the distinction is so important comes down to cost. Spreader beams are so popular because the compression stress that they deal with requires less material to resist than the bending stress seen in lifting beams. As a result, they are around 3 to 4 times lighter and therefore cheaper than an equivalent capacity lifting beam. Problems occur when a spreader beam is treated as if it were a lifting beam. The beam was designed to deal with compression, not bending. As a result, a spreader beam will likely fail if it is not used correctly (remember it is 3 to 4 times smaller than a lifting beam). Misuse of these beams is shockingly common and still happens regularly in the UK. In my next article, I will show some photographic evidence of recent examples of misuse and discuss what steps can be taken to help avoid such incidents. I hope this article has been helpful, any questions then please leave a comment below or message me on Linkedin. Interesting, informed and well written. Very usefull article thanks a lot, clear and full explanation, hope all lifting specialist will read and understand these principles avoiding so many incidents. 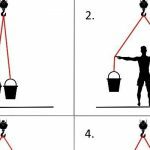 While I commend the above article it would shock me to think any one involved in lifting did not have a full understanding of the forces involved prior to lifting. The main issue is often interpretation and how people have been trained or come to hear about this type of equipment. Yes unfortunately not having a full understanding of the forces involved prior to lifting does occur, and it occurs more often than you would think. Although, it has to be said, its more common within a manufacturing environment where lifting is simply part of a process, and treated as such. In an environment where lifting is treated as the safety critical operation that it should be, such as offshore, then it is less likely. We have seen a number of manufacturers in different industries that do not always use best practices or equipment for their lifting operations, and most of the time it is a lack of knowledge only rather than the cutting of corners.